This is one of the biggies for the 60at60 challenge and with absolutely no certainty of success, but a lot of toil and sweat to be employed along the way. I have managed to reach the top of two 6,000m peaks previously - Mera Peak and Island Peak, both in Nepal. This was a number of years ago and since then my attempts on high mountains have been great times but few summit medals. I have made serious attempts on Cayambe, Cotopaxi and Antisana in Ecuador, Aconcagua in Argentina, and Naya Kanga in Nepal. I've had more luck in Morocco with winter ascents of Toubkal and Mgoun, but these are a couple of thousand metres short of 6000. 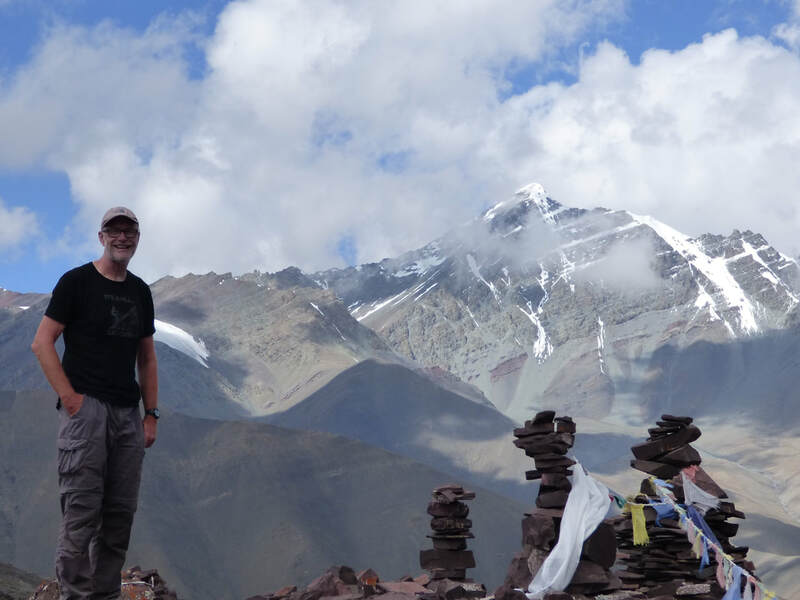 Sometimes things just don't turn out as planned on mountain days, and this goes for my attempt on Stok Kangri. Overall the trip was a really good one, well organised by KE Adventure and their local partners Rimo Expeditions, but on the day I just lacked the oomph needed to get up.